It’s March! And that means spring and a whole new year's worth of books are coming into season! And how happy I am for BOTH things! Today I’m extra-excited to share with you the book release of a very special author, Kim Black. Kim is a fellow member of Texas High Plains Writers, the amazing writer organization I'm a member of. She's also a dear, dear friend and thoughtful critique partner whose personality and positivity are absolutely effervescent. I am so excited for Kim's new series and great accomplishment. Read on to learn about how this talented, Texas author envisions a world of spies, espionage, and intrigue half a world away! 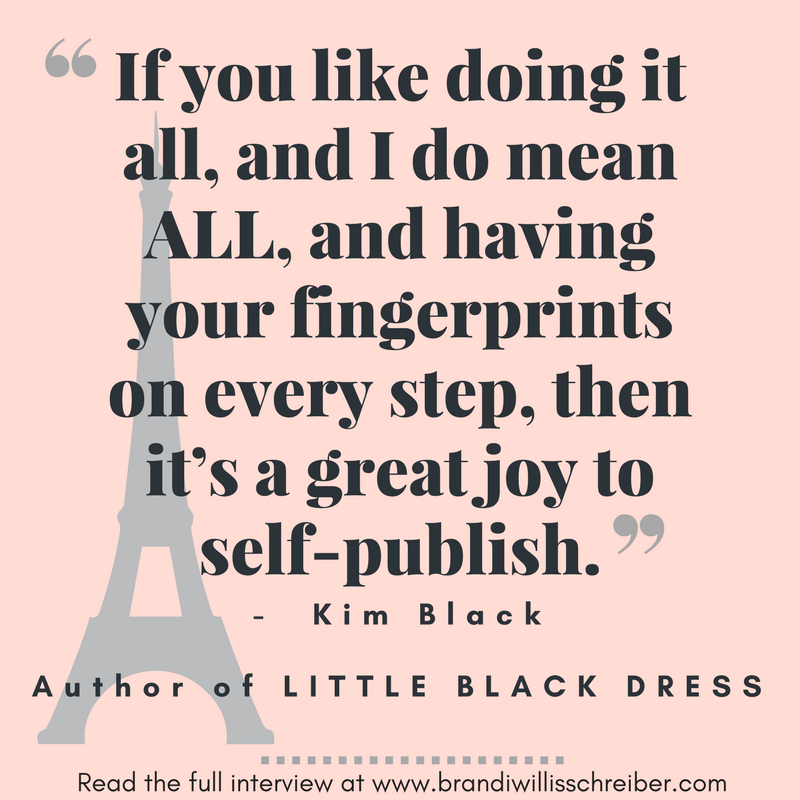 Kim Black's LITTLE BLACK DRESS is out this month! Kim, I am so excited to share a little bit about you and your writing on my website! For folks who may be unfamiliar with your work, tell us a little bit about yourself and what you write. You are a very diversified author! Before LITTLE BLACK DRESS, you also wrote Christian fiction and children's books. Tell us about these projects! How did you decide to transition from children's books and Christian fiction to this fast-paced, spunky, adventure-spy series? What inspired you to write it? I started writing children’s books because I am addicted to seeing little kids’ faces light up when they hear a story. Right now I have one published, but I have two more that are very close to release. My sons are both graphic designers, so I am blessed to have incredible illustrations close at hand. I started writing historical Christian fiction because I love the strength of the women in the Bible and how they shaped and influenced the message of the gospel. I don’t see my writing as too much of a transition because I’ve always been a big reader, and for me, writing is just an extension of that. In third grade, I got serious about reading. I read Little Women over and over, then Wizard of Oz, and Chitty-Chitty-Bang-Bang. I started consuming Nancy Drew Mysteries and Little House Books faster than I could get to the library. All of these books featured strong female characters, and I knew that was important to me in the stories I wanted to tell. I also loved the adventure, fantasy, and technology involved in all these stories. In a way, my Little Black Dress series is just a grown-up Nancy Drew—with better clothes and gear. How has writing this series been different from writing Christian fiction and children's books? What unique things have you learned along the way, and what challenges have you experienced with this genre? 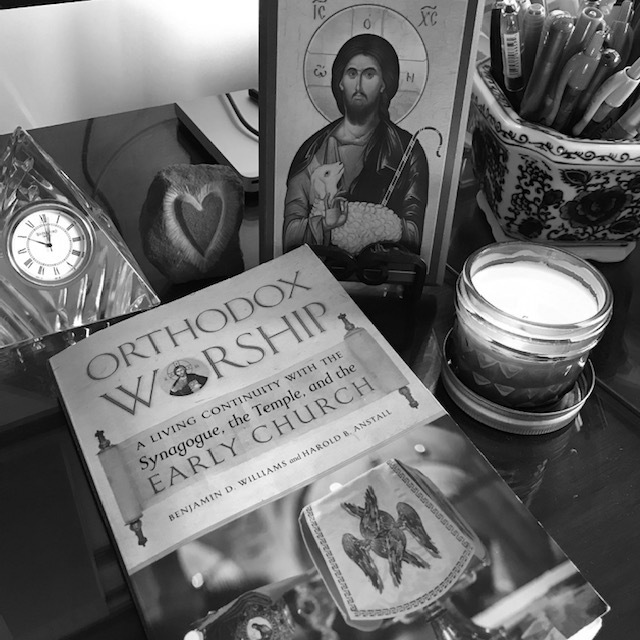 My Christian novels were set in ancient times, so it involved a lot of research. But once I had that figured out, the stories unfolded and were done. They had a definite message and theme. Children’s books have an even simpler theme, and that is nice, too. When I first started LBD, I hadn’t considered making it a series. The story evolved from a Flash Fiction exercise at a library writing event. Turning a 100-word short story into a five-book (maybe more) series is a HUGE process. I wrote the first book and nearly published it at that point. Then I had an idea for another, and then another, which meant going back to the first one to revise for continuity. It wasn’t until after I finished the rough draft of the three books that I discovered my theme and message. Every day I work on the rewrites and map out the next two books, I am overwhelmed by how much I still need to include or pare away to get closer to that message. The LITTLE BLACK DRESS cover is a beautiful design created by Kim's son. Evan Tyler, your heroine in LITTLE BLACK DRESS, is a pretty tough girl. Supermodel turned covert agent, she a combination of beauty AND brains. What was your inspiration for her? And what has been the hardest part of making her "come alive" on the page? Like I mentioned before, all the strong women of my favorite books have a little part in Evan. I am also a big Ian Flemming fan. He created the character of James Bond, but he also wrote Chitty-Chitty-Bang-Bang, which is kind of like a kid’s James Bond. Every one of his stories includes the iconic Bond Girls, both good and bad. While they never had the lead, they were often much more interesting than the bigger villains. I decided the world needed a female Bond. I think of [Evan] as an Audrey Hepburn-type: strong-willed, braver than she thinks herself, stylish, and completely able to handle any man that comes her way. The toughest part about writing Evan is not idealizing her in my own mind. Giving her faults that don’t conflict with the personality type necessary for a covert operative is tough. Getting in that hyper-aware, physically capable mindset is not easy for me. I am known for tripping over my feet, walking into walls, and being startled by my own phone ringing. Paris is my dream destination. (Yes, I actually wept during the opening credits of Midnight in Paris.) When I found the Paris360 website, and then GoogleEarth, I literally did my happy dance. I knew what I wanted to include, so I just had to figure out how to make the setting work for me. And one day I WILL visit the City of Lights. I have had the opportunity to travel a little in my life. A few years ago I had the chance to go to Ukraine, and that experience will feature prominently in the third LBD book. I have a big scene in the second book, Red Heels, that takes place in the London Eye. To get the feeling for that, we took a trip to Las Vegas to ride the High Roller Ferris Wheel. Other places I’ve been will also make appearances in future installments. Tell us about your journey to self-publishing and the greatest lessons - and benefits - you've experienced along the way. What do you like most about being an indie author? What is the most challenging? What advice would you give to other writers who are thinking about pursuing the indie route to publishing? I self-published Pockets, my children’s book when indie authors were just getting a piece of the action. With Lydia, Woman of Purple, I worked with a small publishing house in North Texas. It was exciting and very validating to be working with an established publisher. After a few years, however, my publisher decided to close his doors. I was suddenly pressed to get my book ready to re-publish under my own imprint or let it go out of print. I was grateful for the previous experience of doing it myself. I like having control over things like the title, the cover, the release dates, and what the final manuscript looks like. Indie-publishing gives me that opportunity. I am blessed to have illustrators and artists in my family to help with that. I also have experience working with social media, websites, and various computer programs and software—all of which are necessary for marketing your work. I am not a big self-promoter, so gracious friends as you help me to overcome the biggest challenge of marketing, by giving me the chance to spread the word. If you like doing it all, and I do mean ALL, and having your fingerprints on every step, then it’s a great joy to self-publish. It’s like giving birth. It takes about the same amount of time (or longer), is just as painful, but it is a great accomplishment and a legacy to the future. The cover of LITTLE BLACK DRESS is so bright, artistic, and attention-grabbing! Tell me about what makes this cover so very special to you beyond its aesthetics. What suggestions or advice could you give to other indie authors who really want a cover that "pops"? I couldn’t be more proud of my cover. My younger son, Sean, created it, and it is gorgeous! Evan stands out. I chose three or four actress photos that I thought fit the part and then asked Sean to recreate the look of the ‘50’s/ ‘60’s artist Coby Whitmore, combined with the appearance of a vintage travel poster. He nailed it. Covers are a big deal to me. I have spent hours in bookstores just judging books by their covers. Your cover is your teaser-trailer for your story. It makes a promise to your reader while giving them a peek at your story. It also lets them know what type of story it is. Coby Whitmore was known for his Bond-style pulp book and magazine covers. That’s the vibe I wanted to send. Lighter cover = lighter story. Evan is dressed in the little black dress, hiding her pistol behind her, and shooting the reader a knowing look over her shoulder. Very Evan. The Eiffel Tower stands beyond her—the story takes place in Paris. The bridge stretches out in front of her—the climax awaits. I think the cover should reveal the author’s passions, too. If it means something to the author, it will resonate with the reader. Kim, during the day you work as a professional building designer for custom homes. That is so cool, but I imagine it's also very time consuming! How do you balance your design career, which must have its own creative demands, with your writing career? What does a typical writing day or session look like? How do you build in time to write and what do you try to accomplish when you do sit down at the keyboard? That is a challenge, but I have found that if my creative juices are flowing, they gush! I love problem-solving, which is a big part of both careers. The hardest part for me is quitting one project to start the other. I like to work on a chapter until it’s finished, and I work on a sketch until it’s done, too. Sometimes one has to wait its turn for the other. Switching gears sometimes requires mood music—classical or classic rock. Sometimes it requires another cup of coffee. Lastly, a fun question: If you could spend a day in the little black dress your heroine, Evan Tyler, gets to wear, where would you go and what would you do? That’s a tough one. I do love dressing up, but I’m an introvert, so big parties are not really my style these days. I would LOVE to slip my man into a tux and fly out to Paris. I don’t know how much spying I would do, but I would have the dress record every single minute of fun. Well, maybe not EVERY minute. Connect with Kim on her website, Facebook, Instagram, and Twitter, and subscribe to her newsletter!